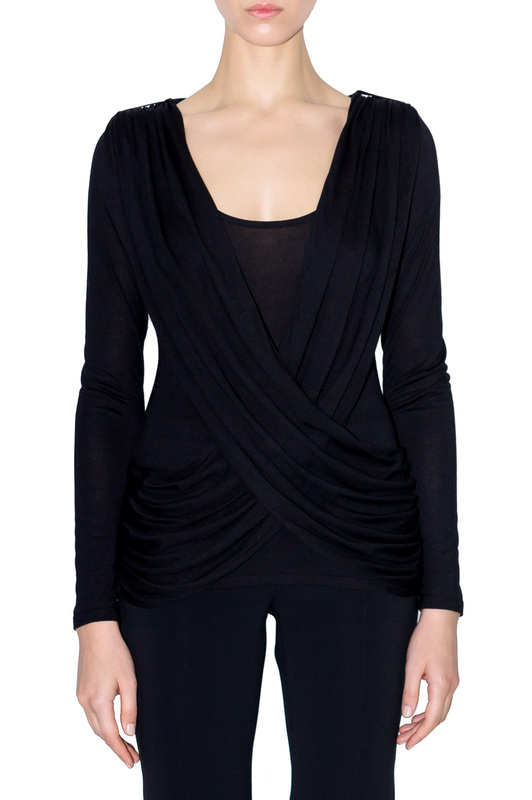 An exceptional work of drapes and pleats for this incredible black top, long sleeves, sophisiticated and elegantissime made in a stretch jersey of very high quality. 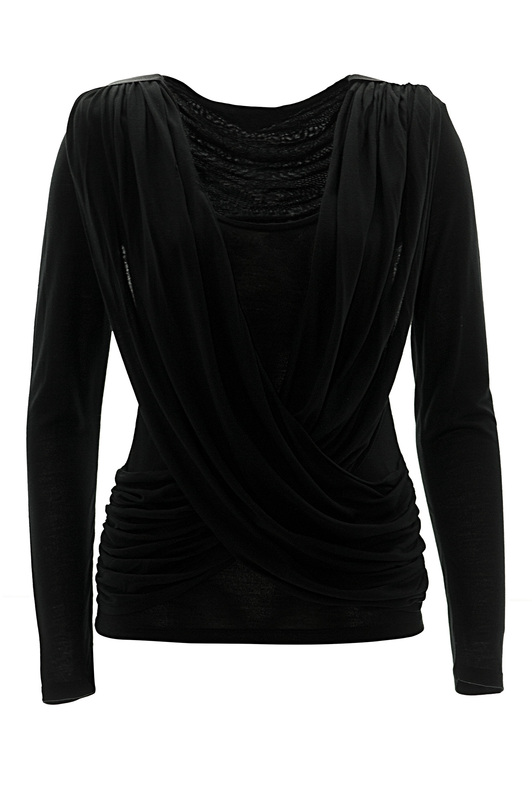 The shoulders outlined by a black satin ribbon, the drapes intersect in front for a retro style. 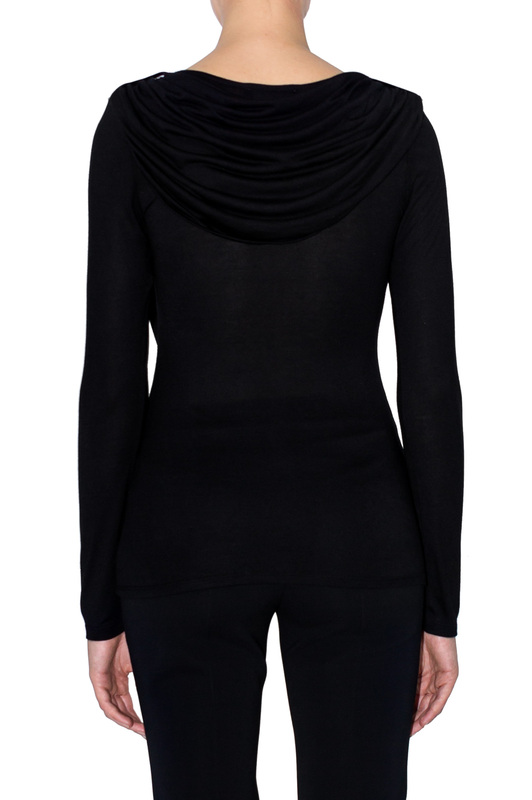 A drape on the back also falls under the rounded neck.